Want to avoid razor burn and skin irritation when shaving your underarms? We’ve put together simple tips for how to shave armpits. 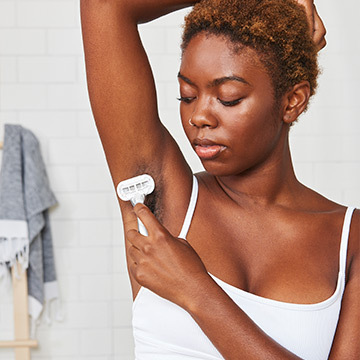 Learning how to shave your underarms correctly can reduce chances of razor burn, ingrown hairs and skin irritation. So here are straightforward tips for how to shave armpit hair. Shaving with a dull razor blade increases the likelihood of razor burn and skin irritation. 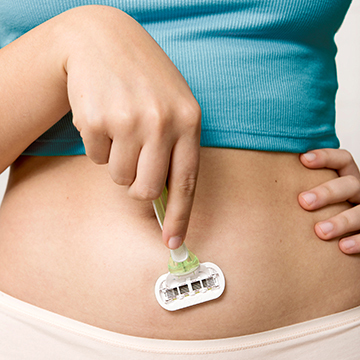 If you start to feel your blade pull at your body hair or feel rough on your skin, replace it. It may be tempting to dry shave your armpits given how small the area is. But keep in mind the skin under your arms is sensitive, so it’s important to protect it while shaving. Soak your underarms in warm water in a shower or bath for around three minutes to soften your skin and make the hair thick with water. This helps the hair cut more easily. Taking a bath or shower before you shave can ensure your armpits are clear of sweat and deodorant which can clog razor blades. Washing helps the razor more effectively shave off body hair; it also helps prevent bacteria from the combination of sweat and deodorant from penetrating through the skin if nicked while shaving. Although the surface area is tiny and only takes a few strokes of a razor to shave, remember underarms are sensitive. Use shaving gel to maintain moisture and help the razor glide more easily over your skin, to better safeguard from irritation. The hair under our arms grows in all directions, so shaving in one direction might not result in a close shave. For best results, lift your arm above your head, press gently down on the razor and shave lightly in short strokes in all directions — downward, sideways and back upward, if needed. Once you’re finished shaving, rinse and gently pat your armpits dry with a clean towel. Apply moisturizer or oil, preferably one that’s alcohol-free. 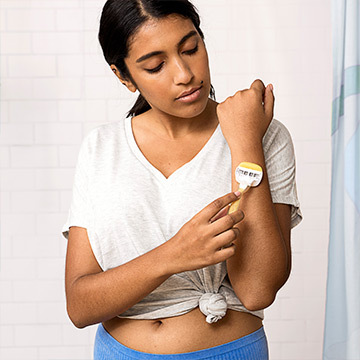 Although it may sound counterintuitive to moisturize this area, it will help keep your skin hydrated and reduce the chances of developing razor burn and bumps. After you shave, wait a little bit before putting on antiperspirant. 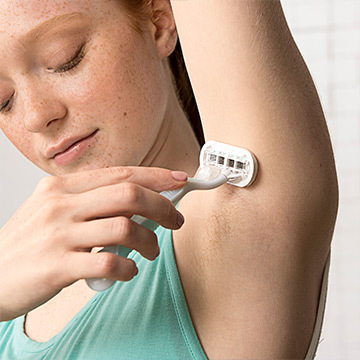 Applying deodorant to freshly shaven skin may cause some discomfort. So, allow your skin time to rest to reduces the chances of irritation from the deodorant. If you need a new razor before your next shave, why not give building your own a try? And, click here to see the wide range of Venus shaving products available. 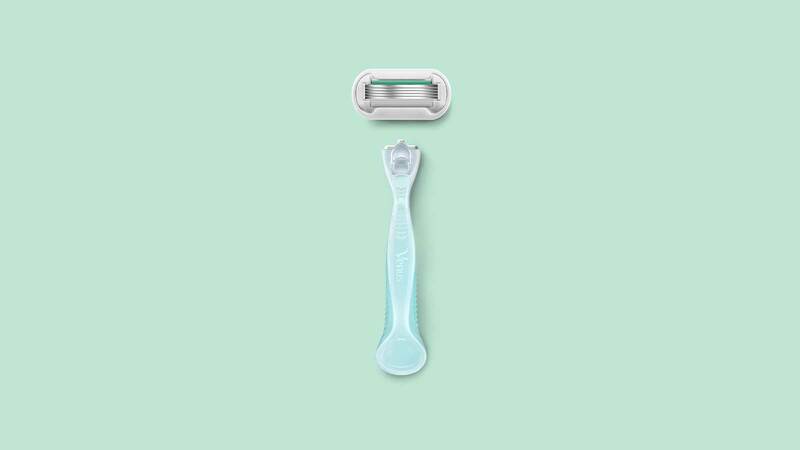 Want to avoid getting razor burn, skin irritation and ingrown hairs when shaving sensitive areas? Discover the best methods and devices to trim or remove your pubic hair.